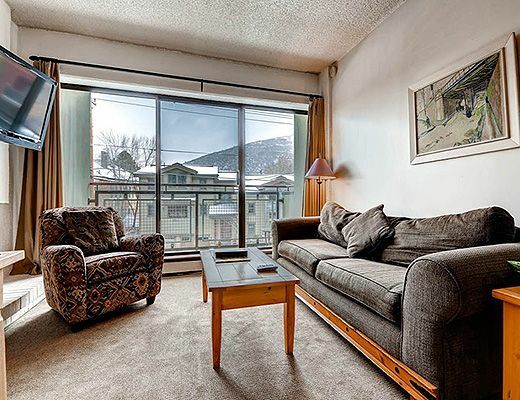 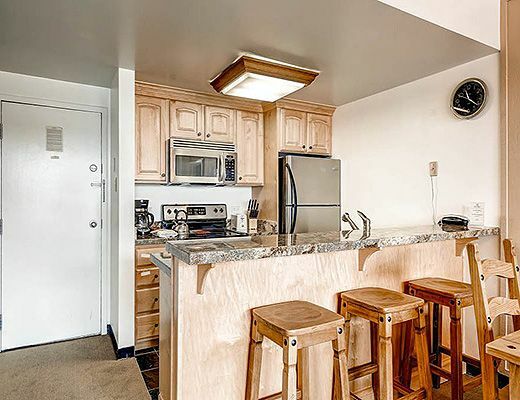 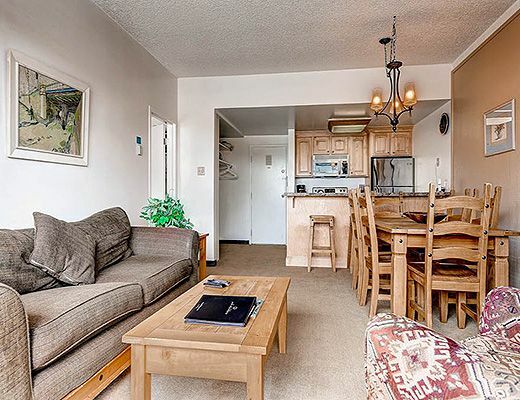 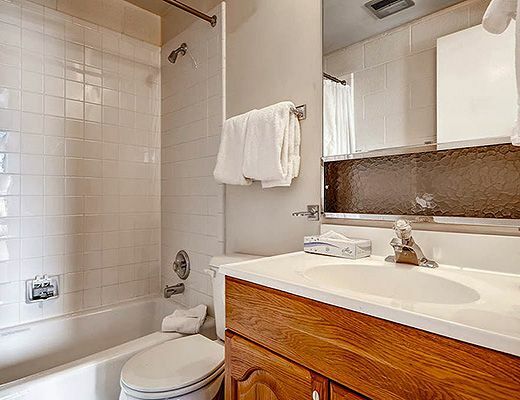 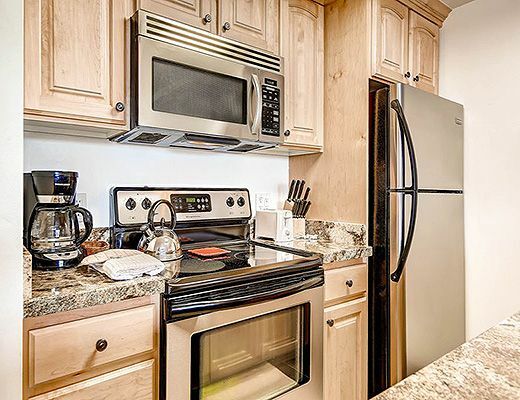 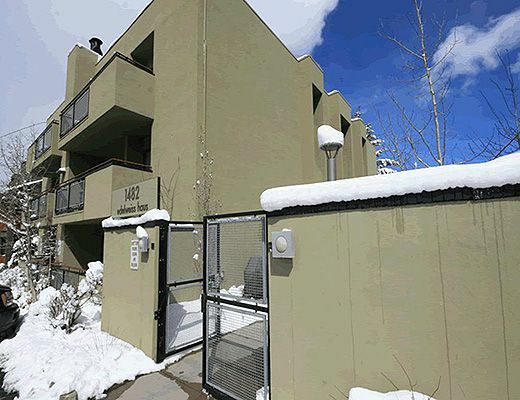 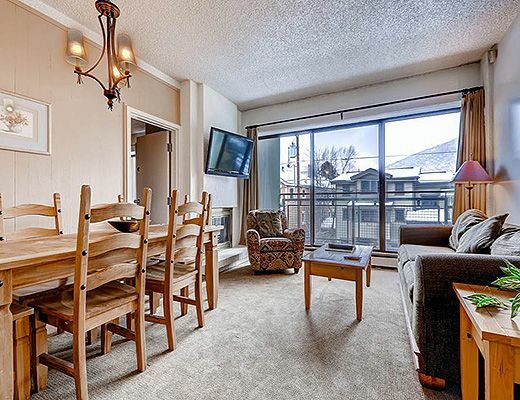 This condo is conveniently located just two blocks from Park City Mountain's base area. 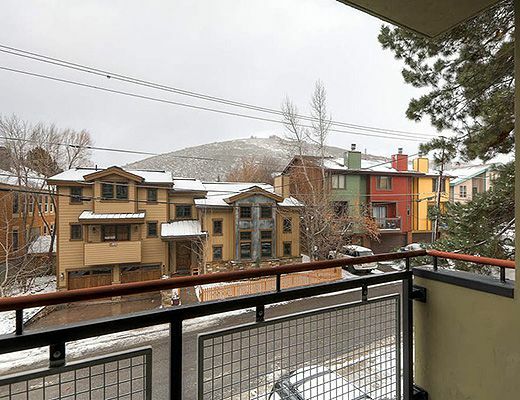 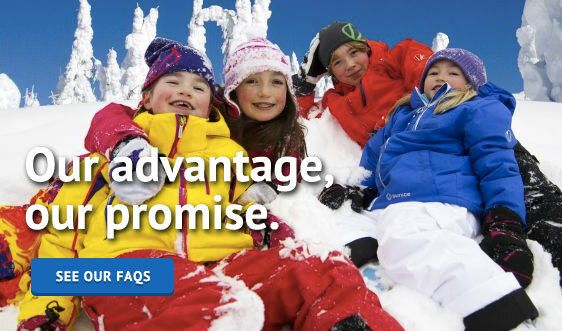 The free city-wide shuttle stops just across the street, giving guests easy access to the lifts at Park City, as well as Deer Valley Resort, Canyons Village, historic Main Street, and a variety of local restaurants and stores. 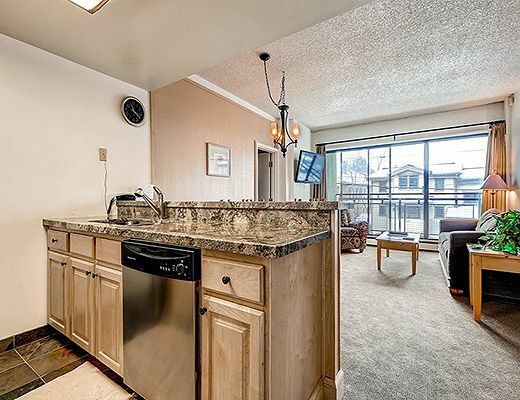 This condo has a fully equipped kitchen, gas fireplace in the living room and dining for 4 plus 2 barstools. 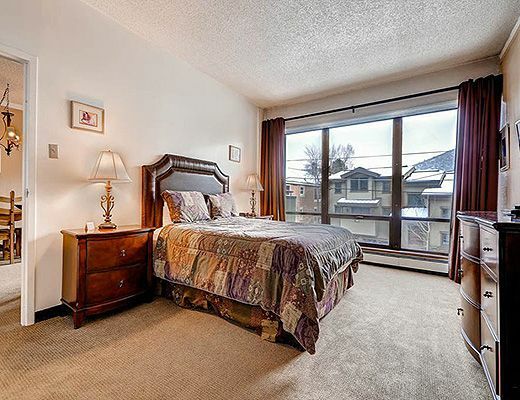 This property sleeps up to 4 people with a king bed in the master bedroom and a sofa sleeper in the living room. 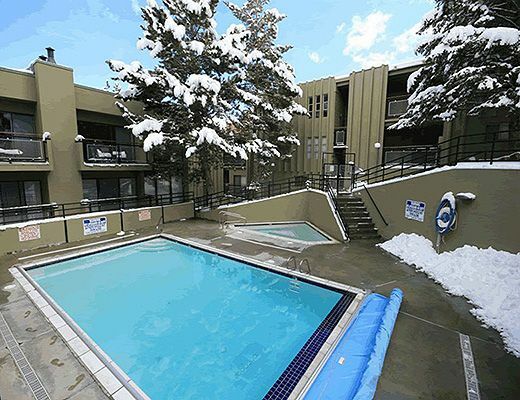 The Edelweiss complex features a common area hot tub and outdoor heated pool, open in the summer and winter seasons, laundry, private men's and women's sauna and underground parking, as well as free wi-fi. 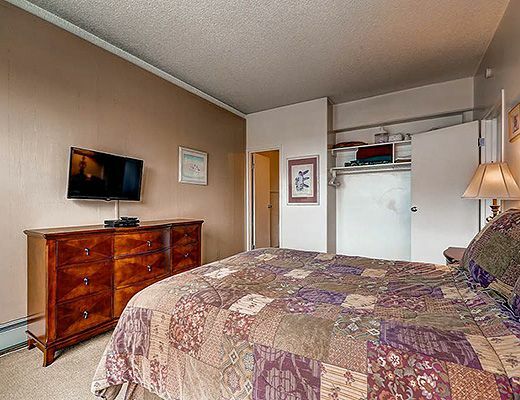 Meeting room available for reunions or small group events. Moderate rating.